FILE: Rendering of the planned Electric Works redevelopment project. At $10 million, it's one of the largest Legacy Fund grants ever approved by the Fort Wayne City Council. In a 6-3 preliminary vote Tuesday, council approved a $10 million Legacy Fund request – an essential funding component of the Electric Works redevelopment project south of downtown. The city has pledged $62 million in public funds toward the project as part of an economic development agreement signed in August with RTM Ventures, the firm developing the site. In similar votes, the council also approved $3.5 million in local income taxes to support the project and created a Summit City Entrepreneur and Enterprise District property tax deduction for the development. The council will take a final vote on all three measures next week, but preliminary votes rarely change. Also Tuesday, Parkview Health announced it's finalizing an agreement to lease space in the former General Electric campus now known as Electric Works. The council approvals were granted over the objections of three City Council members: Paul Ensley, R-1st, Russ Jehl, R-2nd, and Jason Arp, R-4th. Jehl announced Monday he planned to vote against the request. Jehl said he preferred a loan to a Legacy Fund grant and a phasing in of property taxes instead of a 10-year super abatement. The Legacy Fund consists of money generated by the lease and sale of the city's old power utility. On Tuesday, Jehl said though he voted against the request, he wishes the development the best of luck. “Although we might disagree on the amount of public investment that's appropriate here, ... I just want to say to the developers, congratulations, welcome to Fort Wayne and I wish you tremendous success,” Jehl said. Councilmen Tom Didier, R-3rd; Geoff Paddock, D-5th; Tom Freistroffer, R-at large; John Crawford, R-at large; Glynn Hines, D-6th; and Michael Barranda, R-at large; voted for the request. Paddock said he's elated the Electric Works project is going forward. He represents the district where the site is located. “It's been 31/2 years of work to identify this site as something that has great potential,” Paddock said. Paddock said he's worked behind the scenes for some time to try to secure votes for the proposal. Even those who voted against it had some valid reasons for doing so, he added. Electric Works moving forward means hope for an area of town that's faced challenges in recent years, he said. 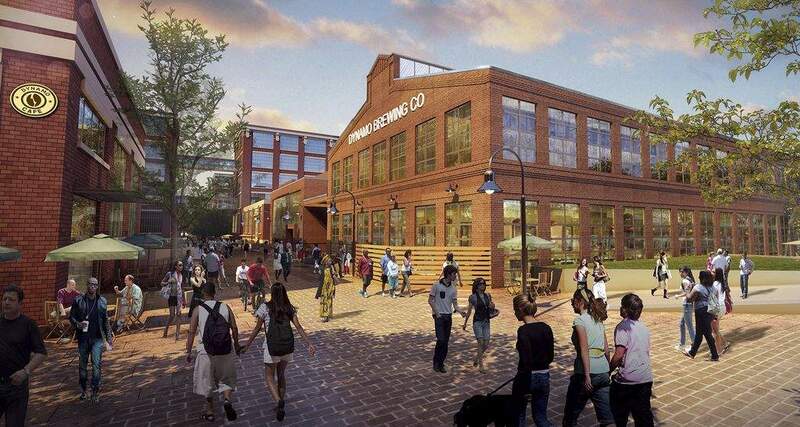 “This is the biggest neighborhood investment that Fort Wayne has ever had, and it shows we want to lift up the community that surrounds Electric Works and to give the residents hope that their neighborhood will improve,” Paddock said. In a statement late Tuesday, Mayor Tom Henry lauded the council's approval. “We continue to make progress on an important and unique initiative for Fort Wayne and northeast Indiana. Tonight's preliminary votes by City Council in favor of Legacy and CEDIT allocations for Electric Works are another step forward in the process to make the project a reality,” Henry wrote. The council's approval clears a major funding hurdle for the developers, who must meet a series of criteria before securing the pledged city funds. Specifically, the city must approve 100,000 square feet of lease commitments by Dec. 31 and 150,000 more square feet by June 30, 2019. Of the 250,000 total square feet of lease commitments the city must review, 15,000 must come from tenants new to Allen County or for jobs that are new to the area. RTM Ventures does not have an expected square footage for the Parkview clinic but does expect to have a better idea of the planned space as the agreement is finalized.